that were made by a German manufactory just for Blümchen. 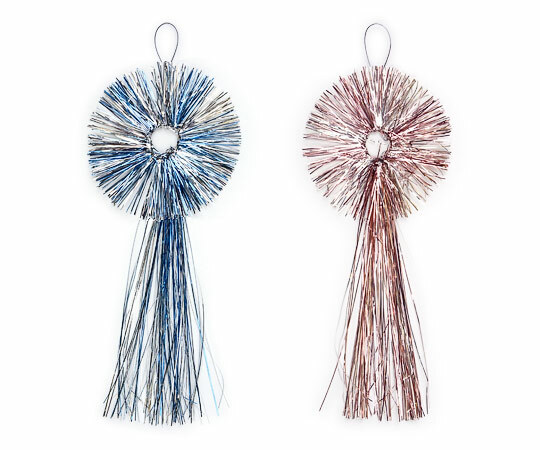 Our authentic Lametta tinsel trimmings were manufactured in the same fashion as tinsel ornaments that graced European Christmas trees more than 120 years ago! 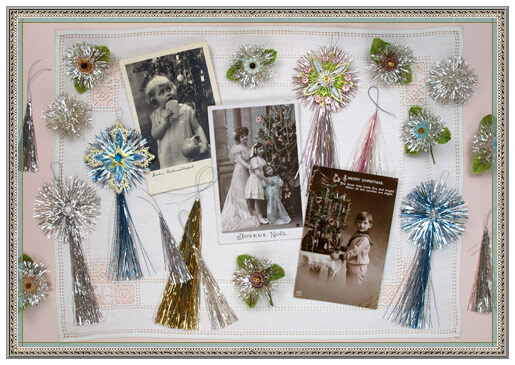 Produced in Germany on the original antique Victorian-era machines by a family-run company that was founded in 1689, these classic metallic tinsel trims were created especially for us. 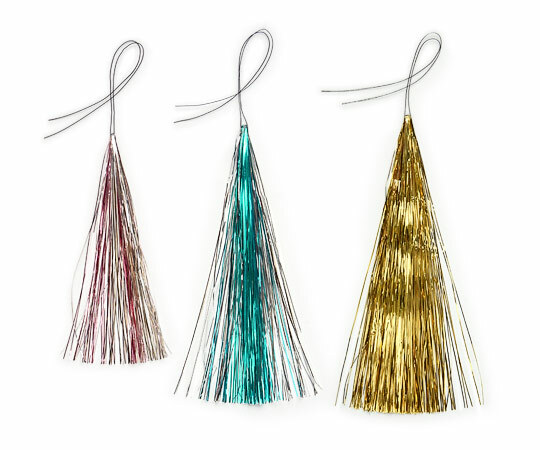 All of our tinsel craft supplies are made from real German metal "Lahn," which is prized by artisans and decorators for its old-fashioned qualities. 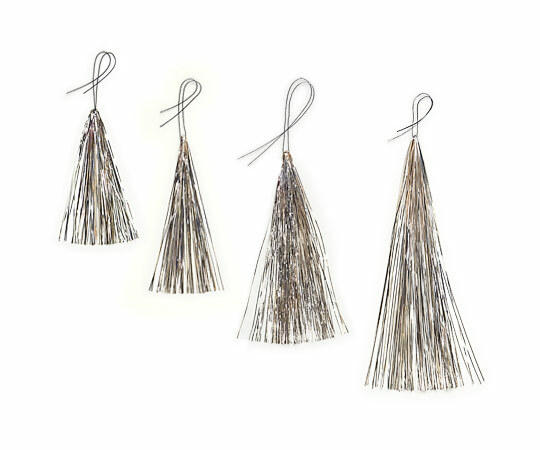 Manufactured from thin strands of copper that has a plated finish of real silver, gold-tone or a fancy color, this shiny metallic tinsel will bend and crease without mindful handling, but this just adds authenticity to its true Victorian charm. These metallic trims will all oxidize over time. 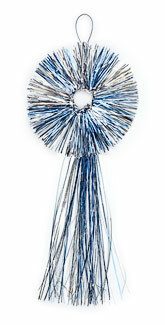 The gold-tone and fancy color Lametta tinsel will acquire somewhat darker patinas, while all of our real silver plated Lametta tinsel is "guaranteed to tarnish." 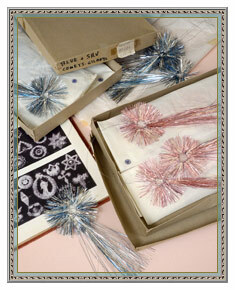 our specifications by a tinsel manufactory in Germany. 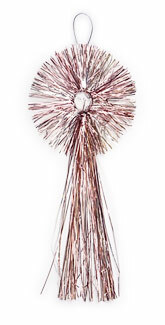 Pink & Silver ~ 4" ht. Aqua & Silver ~ 5" ht.